Within the last two years, routers have gone from ugly boxes tucked away in shame to well-designed products, complete with a variety of new technologies and user-friendly interfaces. 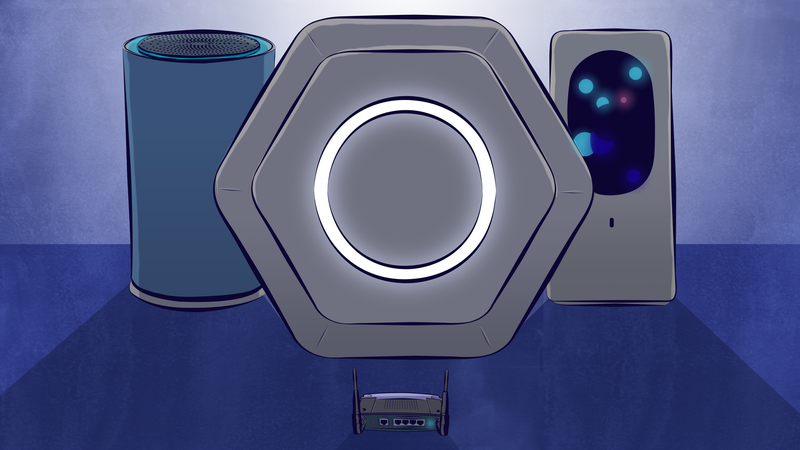 Led by ambitious startups like Eero, Luma, and Starry, and even bigger companies like Google’s OnHub, routers are having a gadget moment—and that could finally help people realize how important the little box really is. Our home routers are now clogged with data not just from laptops, which most routers were originally designed to handle, but also smartphones, tablets, set-top boxes, smart locks, smart TVs, toasters, and even wine bottles. We’re also hogging lots more bandwidth than we used to thanks to online streaming sites like Netflix. Companies like Nvidia are even trying to livestream games. It’s definitely a different world then when old router champions, like Linksys and Netgear, reigned supreme. So who are the up-and-coming potential titans of wi-fi? Let’s introduce you. Before starting Eero in 2014, CEO Nick Weaver invested in smart homes through companies like DropCam and Roku. It didn’t take him long to find the weakest link in the “connected” home. Weaver thinks Eero solves that problem using mesh networks. Although not an entirely new idea—especially when it comes to business IT—the premise is that instead of piping through just one access point in the home, you use multiple access points for complete, reliable coverage. Eero eschews some of the tech that allows for gigabit-level speeds—which 90 percent of us can’t access or afford anyway—and instead supplies a consistent 100Mbps or better through your home. Eero is also obsessed with design. The company actually gets its name from its chief design inspiration, Eero Saarinen, creator of the St. Louis Arch and LaGuardia’s famous TWA terminal. Yet unlike the phones in our pockets or smartwatches on our wrists, this new approach to router design is more about function than vanity. Eero and Luma both use multiple access points for better coverage. But Luma has one trick up its sleeve that Eero lacks: security. Considering CEO Paul Judge’s background, it makes sense. Judge spent years building big enterprise wi-fi systems that need robust security, and wanted to translate those ideas to the smart home. Luma comes with built-in intrusion detection and vulnerability scanning. But bringing IT connectivity to the home hasn’t been flawless. While it might be commonplace for an employer to track internet activity or block certain sites while you’re using their machines, the line gets a little murkier when you’re talking about your own home. People have openly voiced privacy concerns about Luma’s approach to security, specifically about how an admin can monitor online activity through any device connected to the network using its smartphone app. Luma sees the feature simply as robust parental controls. The company pulled design inspiration from existing smart gadgets, like Nest, Sonos, and Amazon Echo, to settle on the hexagonal shape that makes the little device distinct, but also helps with radio propagation. Judge hopes design can turn the tide of routers’ traditionally terrible PR. Bragging is exactly what Starry wants from its users. Compared to the rest, Starry has had the harshest learning curve. Originally known as Aereo, the company, along with Starry’s now CMO Alex Moulle-Berteaux, worked on delivering OTA television to your smartphone. Unfortunately, courts deemed the service illegal in 2014. Since then, Aereo has transformed into Starry, a company looking to remake home internet with high-band connectivity (called millimeter wave) and a new router called the Starry Station. Half of the Station’s appeal is in untapped potential. It’s outfitted with a microphone to implement voice commands and other smart home protocols and its own millimeter wave technology (if and when your city gets it). Much like Weaver’s revelation with Eero, Starry realized that if you made a device that people wanted to show off, interact with, and most importantly, move out of the dusty corners of their home, performance improved dramatically. The Starry Station is unlike any router you’ve ever seen, not only because of its triangular shape, but because of the big honking screen that Starry desperately wants you to touch. For Starry, the router is one piece of the whole. The company is testing a new gigabit wi-fi service in Boston that uses an antenna attached to your home to deliver gigabit speeds. But the Station is still at the company’s center. All of these routers—and even more are coming—are generation one devices going up against companies that’ve been doing home connectivity for decades. A Linksys rep told Gizmodo that multiple router setups like Eero and Luma are more a question of software than hardware, and that the company doesn’t think mesh networks are ready for the big time. Linksys is focusing on improving home coverage with a system of wi-fi extenders and one powerful access point rather than the true mesh network embraced by its new peers. These new companies disagree. For them it isn’t a problem of tech. They see the “old guys” as too big to restructure for the rapidly approaching connected home. The reality might be somewhere in the middle. While there’s success in the router designs pushed by the new guard, the old guard still seems to be winning the price war. Eero says for best performance, you should at least have two routers and our friends at Wirecutter agree. That will set you back $350. Same for Starry Station. It’s $325, but, according to PCMag, barely hits the throughput that you get with a $170 TP-Link router. And Luma’s not much better: it will eventually retail at a staggering $500 for a three pack. But the exciting part is that choice, however expensive it is, even exists in the first place. When old technology meets new ideas, good things can happen. And for the first time ever—we’re talking about routers for god sake!—I can’t wait to see what’s coming.